WOW. Cassini Captures Another Stunning View of Saturn and Its Rings NASA's Cassini Orbiter captured a breath-taking view of Saturn impossible to see from anywhere else. Using it's wide-angle camera, with the violet filter, the spacecraft snapped this incredible image on Oct. 28, 2016. GUEST BLOG—By Space.com--NASA's Cassini spacecraft is known for some of the most extraordinary images of Saturn, and its rings and moons, that we have seen. And this view over Saturn's "shoulder" is no exception. 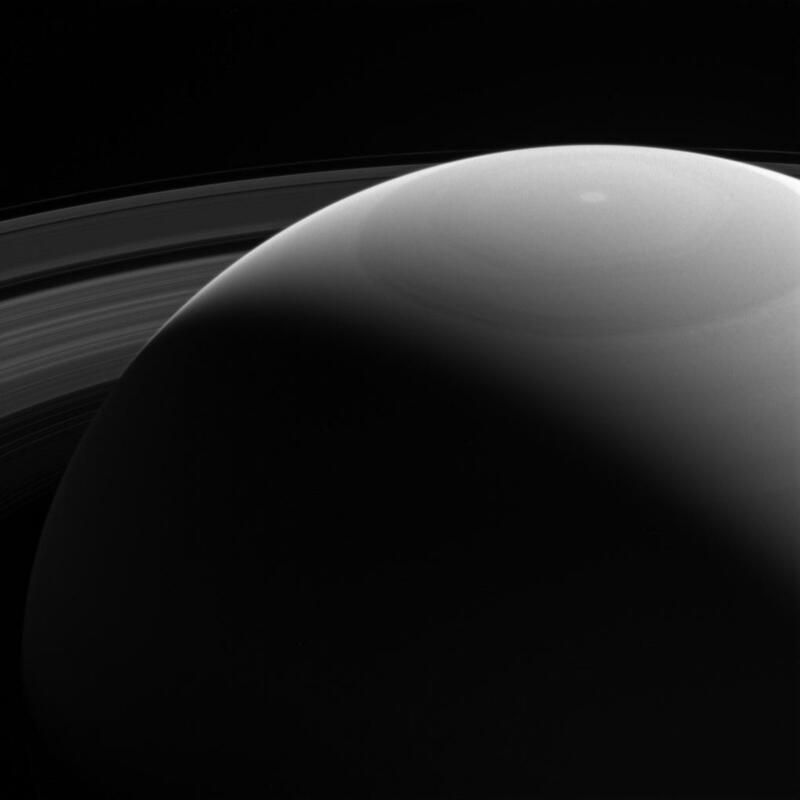 A telescope on Earth could never capture a view of Saturn like this, NASA officials wrote in an image description. The photo looks from dark side of Saturn (lower left) toward the sunlit side of the planet and its rings from roughly 25 degrees above the ring plane. Saturn's weird hexagon-shaped storm is clearly visible churning at the planet's north pole. Launched in 1997, the Cassini spacecraft is nearing the end of its nearly 20-year mission. In September, the spacecraft will be intentionally crashed into Saturn as a safety measure to protect the planet's icy moons from contamination by the probe. The Cassini mission to Saturn has been a cooperative project by NASA, the European Space Agency and the Italian Space Agency. The probe arrived at Saturn in 2004 and is named after the famed Italian astronomer Giovanni Cassini. In addition to studying the Saturn system, Cassini also carried ESA's Huygens probe, which landed on Titan — Saturn's largest moon — in January 2005. DOW ABOVE 20K FOR FIRST TIME; NOW WHAT? THE BREWSPAPER / SCHWARZBIER TODAY!